“Drop It Like Its Ott” is the bands first full length studio album. It will be released on Sydney record label Earshift, run by saxophonist Jeremy Rose. Band for the launch is the usual six piece augmented with c melody sax and congas. Matthew Ottignon – saxes, Ellen Kirkwood – trumpet, Daniel Pliner – keys, Ben Panucci – guitar, Eden Ottignon – bass, Dan Kennedy – drums, Peter Farrar – sax, Aykho Akryff – congas. 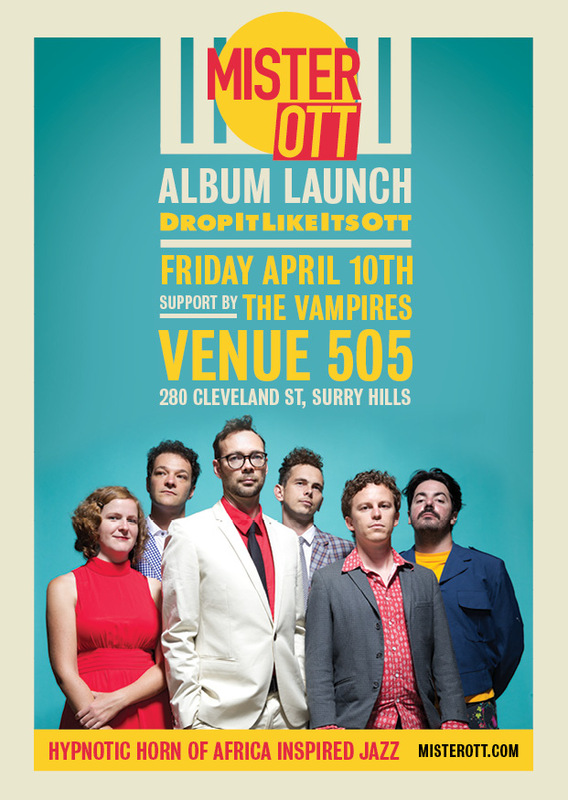 The Vampires are no strangers to Venue 505, having played at the venue since the early days in Hibernian House. Since 2008 the band has released four albums and toured relentlessly in Australia and recently to Germany. 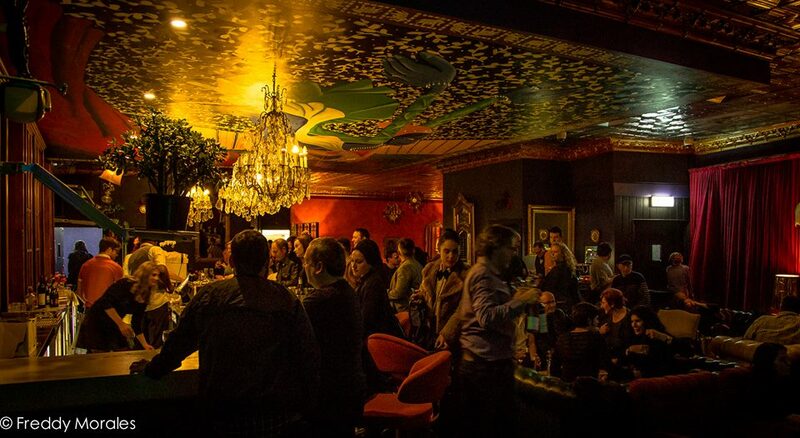 The music builds on the rich history of piano-less jazz quartets with a unique twist, adopting Reggae, Balkan, Afrobeat and Latin rhythms in unexpected ways. Last chance to catch them before their European tour! This entry was posted in Uncategorized on March 21, 2015 by misterott.